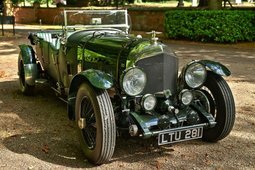 1929 Bentley 4.5 Litre H.J. Mulliner Saloon. Without doubt one of the most original W.O. Bentley cars in existance. This car was laid up in a garage for a decades long respite which to a large extent accounts for its incredible state of Preservation. The current owner re-commissioned the car & has been enjoying using it sparingly for th last couple of years. It represents a golden key for such events as Villa D'Este & Pebble Beach and it will be welcomed into any preservation category at a concours. 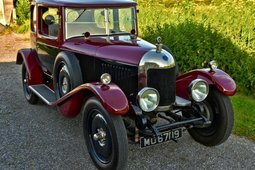 This remarkable 4½-Litre Bentley is one of just 657 built on the long (10' 10½") chassis and was delivered via Gaffikin Wilkinson & Co Ltd to one N H Player of Sonning-on-Thames on 11th February 1930. Service records show that the chassis left the factory fitted with engine number 'PB3526', the C-type gearbox (number '6771') and an Elektron cam casing. 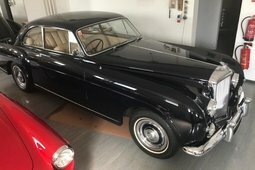 Player commissioned the highly regarded coach builders H. J. Mulliner of Bedford Park works in Chiswick to clothe the chassis with a sporting saloon body, which was then registered 'RX 6108' in the UK. 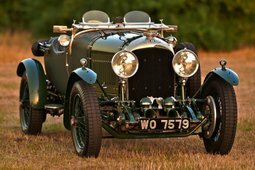 Player sold the Bentley to Orlando Ford of Bristol in 1931 followed by G T S Bevan of Witham, Essex also in 1931. E J Harwood from Epsom, England purchased 'RX 6108' in 1935 from Bevan. When Harwood joined the Bentley Drivers' Club in 1951 he confirmed ownership of the Bentley and was still the owner at the time he left the Club in 2005. 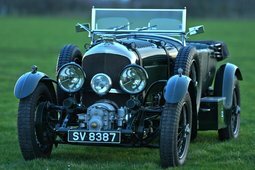 Clare Hay in her authoritative works 'Bentley the Vintage Years' (1997 edition) states that there had been one owner since 1935 prior to acquisition by the current owner. The car comes with its original instruction manual & also an assortment of pictures showing it towing a period Eccles carvan in the 1940's & 1950's. The glass had delaminated to a dangerous degree over the years so this has been replaced with the original glass being retained. The paint is original heavily patinated black. To the interior is wonderfully preserved green hide throughout along with green door cards & green carpets. A new clutch has been fitted as have new brake linings & new rubber to the four corners. Since re-commissioning the car has covered over 1000 miles of absolutely trouble free motoring. The car is an utter time warp & would sit well in any Bentley collection, or for that matter any collection at all. 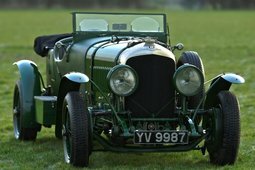 With matching and correct chassis, engine, gearbox, steering box, rear axle and bonnet numbers; an original green leather interior and a full complement of correct instruments, this untouched 4½-Litre ticks every box. Without exaggeration, it is quite simply one of the most significant and exciting barn discoveries of the decade.